Equine leather is exclusively taken from the rear portion of horsehides. Shoes made from this material are extremely durable, and correspondingly pricy. Famaco cordovan paste cleans, nourishes, and protects cordovan. It is made from premium ingredients carefully chosen for optimal cordovan care. Cordovan is easy to care for. First, use a brush to remove coarse soiling from shoes. The high natural fat content of cordovan causes dust and soiling to accumulate on its surface. Next, use an applicator brush or a cloth to evenly apply the polish to the cordovan. If the shoes being treated feature broguing, a brush is a better option than a cloth because horsehair bristles do a better job of reaching the edges of the perforated holes. After the cordovan polish has dried, use a polishing brush to brush the leather until it gleams. 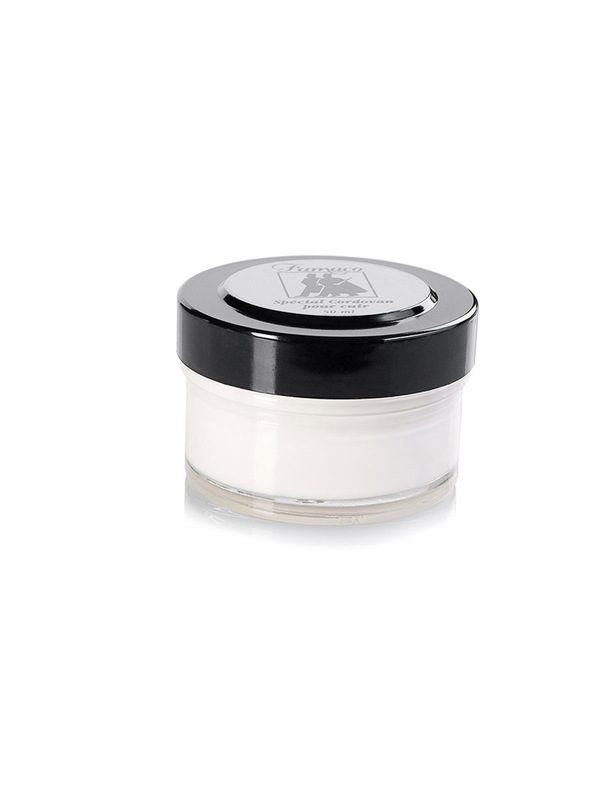 Famaco cordovan paste is colorless and comes in 50 ml jars.